software, including network security, cryptography, routing protocols, network management, social networking, compression and decompression of data (including video and audio standards such as MPEG-4), database access (including object-oriented designs), data protection and retention and back-up utilities. 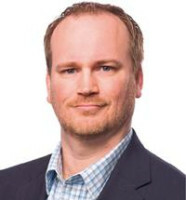 Before practising law, Mr Nicholson worked in the special purpose processor development group at the Mayo Clinic, designing MEMS devices and analysing existing application-specific integrated circuit designs, including both digital and analogue devices. Mr Nicholson was named a Super Lawyers Rising Star in 2014 and 2015 and a Top Patent Prosecutor by Patent Buddy, and was listed in the IAM Patent 1000 in 2015 and 2016. He has a BSEE from the University of Wisconsin-Madison and a JD from the University of Houston.